What was Linux like ten years ago? Linux has improved by leaps and bounds over the last decade, and more and more people have come to appreciate its power and flexibility. But a redditor recently wondered what it was like to run Linux ten years ago, and he got some very interesting responses from Linux veterans. Late last year F2FS picked up multiple device support for this Flash-Friendly File-System. This F2FS multi-drive capability isn’t native RAID support like Btrfs but just allows a single F2FS file-system to span multiple devices. But it’s more than that in that block allocation and the garbage collection policy is modified to boost I/O performance by taking advantage of the multiple SSD/flash devices. In a ground-breaking development, the Linus Foundation and 50 other companies announced the launch of an open-source Internet of Things (IoT) interoperability framework to standardise and simplify edge computing through the new open-source consortium EdgeX Foundry. IoT hasn’t enjoyed the predicted positive market growth due to lack of conformity and fragmented edge computing development resulting in non-compatibilities of applications and security reservations. Adapting IoT technology to business needs is fraught with difficulties and integration issues due to separate development and discordant systems. The evolution of edge computing, however, provides a standardised framework in which to integrate business applications of significant value-adds or standalone systems. If you follow the developments of Linux world closely, you must be knowing about the Year 2038 bug. This problem exists because the latest time that can be represented in Unix’s signed 32-bit integer time format is 03:14:07 UTC on Jan. 19, 2038. After that, the C programs that use the standard time library will start to have problems with dates. Last week I posted initial Radeon RX 580 Linux benchmarks and even AMDGPU overclocking results. That initial testing of this “Polaris Evolved” hardware was done with the fully-open Radeon driver stack that most Linux enthusiasts/gamers use these days. The AMDGPU-PRO driver wasn’t tested for those initial articles as it seems to have a diminishing user-base and largely focused for workstation users. But for those wondering how AMDGPU-PRO runs with the Radeon RX 580, here are some comparison results to DRM-Next code for Linux 4.12 and Mesa 17.2-dev. Luminance HDR is an open-source tool that lets you create and edit high-dynamic-range images (HDR) on Linux, Windows and macOS. The app recently got its first major update in several years and I figured it was something a few of you might wanna know about (and hey, we’ve featured a couple of other photography tools recently). A new stable update of the open-source and cross-platform SMPlayer media player was announced recently, versioned 17.4.2, for all supported operating systems, including GNU/Linux and Microsoft Windows. SMPlayer 17.4.2 is now the latest stable release of the popular media player applications, and it looks like it ships with various exciting improvements and new features. One of these is support for using the ffhevcvdpau decoder from the MPlayer project, but only on Linux-based operating systems. Gyazo is a screen capturing application with which you can quickly take quality shots of your screen and also create GIFs on the fly with a simple click. It is as simple to use as another screen capture tool we wrote on earlier, Peek, but Gyazo seems to have an edge in terms of functionality, customizability, and extension; at least, for now. It’s been more than two months since the MPlayer-based MPV open-source video player received an update, and the development team is proud to announce the immediate availability for download of MPV 0.25.0. MPV 0.25.0 is a major milestone and comes with significant changes, such as the fact that starting with this release, all future versions of the player will be tagged on the master branch. Also, this is the first release of MPV to drop support for Mac OS X 10.7 and earlier builds. In case you’re not aware, Kodi is an awesome open source home theater software. The releases of TinkerOS have, to date, offered patchy performance for Kodi. There’s now a real alternative with Asus’s recent release of an Android image. As expected, today KDE announced the availability of the fifth maintenance update to the current stable, yet short-lived KDE Plasma 5.9 desktop environment for GNU/Linux operating systems, versioned 5.9.5. KDE Plasma 5.9.5 is here more than a month after the release of the KDE Plasma 5.9.4 update, which most probably many of you use on your favorite GNU/Linux distributions. But the time has come to update your installations to KDE Plasma 5.9.5, the last point release in the series, adding more than 60 improvements across various components. The GStreamer 1.12 major release is coming next month, but Collabora’s Olivier Crête is sharing with us today some of the most important new features implemented so far by various developers. Collabora made several contributions to the widely-used open-source and cross-platform multimedia framework, and now that many of you already managed to get an early taste of the new features coming with the GStreamer 1.12 release during the RC (Release Candidate) testing phase, let’s take a look at the upcoming changes. GStreamer is great for all kinds of multimedia applications, but did you know it could also be used to create studio grade professional audio applications? For example, with GStreamer you can easily receive a AES67 stream, the standard which allows inter-operability between different IP based audio networking systems and transfers of live audio between profesionnal grade systems. Void Linux, an open-source, general-purpose GNU/Linux distribution based on the monolithic Linux kernel, is the latest operating system to adopt the Flatpak application sandboxing technologies. Offensive Security, the developers of the BackTrack-derived Kali Linux open-source, security-oriented operating system announced the availability of the Kali Linux 2017.1 rolling release. Since Kali Linux become a rolling distro, the importance of such updated images was never the same, but Kali Linux 2017.1 appears to be a major release of the ethical hacking distro, adding a bunch of exciting new features and improvements to the Debian-based operating system. Offensive Security has updated the Kali Linux images with new features and changes. Termed Kali Linux 2017.1, this release comes with support for wireless injection attacks to 802.11ac and Nvidia CUDA GPU. You can simply update your existing installation by running few commands if you don’t wish to download the updated images from Kali repos. openSUSE Board Chairman Richard Brown informed the community about a major version number change for upcoming releases of the openSUSE Leap operating system. As some of you might know already, openSUSE Leap 42.2 is the current stable release of the GNU/Linux distribution based on the sources of the commercial SUSE Linux Enterprise (SLE) operating system designed for enterprises, and the next scheduled release is openSUSE Leap 42.3, which is currently in development. A year after buying application connectivity startup 3scale Inc., Red Hat Inc. is making the technology that it obtained through the deal available in a new form geared toward tech-savvy firms. Unveiled on Thursday, Red Hat 3scale API Management – On Premise runs on the company’s OpenShift Container Platform and is designed to be deployed inside Docker instances. It’s an alternative to the original cloud version of 3scale for organizations that wish to keep their operations behind the firewall. The software should be particularly appealing to government agencies and firms in regulated industries, which often can’t move certain workloads off-premises due to security obligations. Today, April 26, 2017, the developers behind the Debian-based Q4OS GNU/Linux distribution announced the release of the fourth stability and security update of the Q4OS 1.8 “Orion” series. Q4OS 1.8.4 comes almost two months after the release of the previous point release, and besides incorporating all the security patches backported from the upstream repositories of the Debian GNU/Linux 8 “Jessie” operating system series, it adds an exciting new feature, namely the integration of alternative desktop environments. personally approved of them as “a good definition of Free Software”. There I said it. So, naturally, I am feeling a little sad that Unity is retiring from its role as the default Ubuntu desktop. It will be replaced by (the also-awesome) GNOME Shell in Ubuntu 17.10 onwards. For the past 6 and a half years I, like millions of Ubuntu users, have been able to rely on Unity. From Qml to Compiz, from controversy to controversy, the Unity desktop has held firm. As (arguably) the one element that helped to define and mould the Ubuntu identity it’s only natural that one wonders what Ubuntu is without it. Canonical’s Adam Conrad announced that Ubuntu 17.10 (Artful Aardvark) is officially open for development, and it looks like the first daily build ISO images are already available for download. GNOME Shell’s stock experience is fairly vanilla, but with the right ingredients you can give it an entirely different flavour. GNOME Layout Manager is a new script in development that takes advantage of this malleability. ​Qiana Studio is a Ubuntu and Linux Mint based system for multimedia productions. It comes with many powerful tools and applications that make it a media creation powerhouse. The developers seek to make a lightweight – but powerful A/V-distro basing on Linux Mint! Let us take a look at this distro if it’s worth your time. Huawei’s HiKey 960 computer board is priced at US$239 but has some of the latest CPU and GPU technologies. Google, ARM, Huawei, Archermind, and LeMaker all played roles in developing the board. Bash Bunny is a Debian Linux computer with a USB interface designed specifically to execute payloads when plugged into a target computer. It can be used against Windows, MacOS, Linux, Unix, and Android computing devices. It features a multicolor RGB LED that indicates various statuses and a three-position selector switch: Two of the positions are used to launch payloads, while the third makes Bash Bunny appear to be a regular USB storage device for copying and modifying files. Archermind and LeMaker have launched a “Hikey 960” 96Boards CE SBC for AOSP using HiSilicon’s 4x -A73, 4x -A53 Kirin 960 SoC, and featuring M.2 expansion. The Hikey 960 design from Linaro’s 96Boards.org is now available from Archermind and LeMaker, which sell the boards via their Alpha Star and Lenovator sites respectively. The SBC is also available on Amazon ($240) and Seed ($239), among other venues. The open source boards comply with the same 85 x 55mm 96Boards CE spec adopted by LeMaker’s Hikey SBC, and run Android Open Source Project (AOSP). Linaro plans to add Linux support over time (see farther below). The 96Boards organization has announced the official launch and shipping of the HiKey 960. Reactide is an Integrated Development Environment built for React, which intends to make React development easier for Software Engineers. The project has been widely praised, amassing over 6,000 stars on GitHub. The supersonic growth of Amazon Web Services and other cloud providers in the past few years owes much to open-source communities that fed them cutting-edge tech free-of-charge. Now telecom is mimicking this strategy through involvement with the Linux Foundation, according to Scott Raynovich (@rayno) (pictured, right), guest host of theCUBE, SiliconANGLE Media’s mobile live streaming studio. The countdown until ApacheCon North America has begun. The blockbuster event will be in Miami this year and runs May 16-18. The Apache community is made up of many niche communities and ApacheCon offers something for all of them. Here, Roman Shaposhnik, Director of Open Source, Pivotal Inc., who is heading the Apache IoT track at the ApacheCon conference, gave us a sneak peek of what the Apache Internet of Things community can look forward to at the event. Last week, the OpenStack Foundation announced the results of its ninth user survey. OpenStack users responded in record-breaking numbers to participate, and their voices as revealed in the data tell the real story of OpenStack. The OpenStack community is growing, thriving with new users, deployments, code contributions, and collaborations, all on the rise. User diversity is expanding across geographies and organizational sizes. And OpenStack’s ability to integrate with innovative technologies is paving the way for advancements not even dreamed of just five years ago. Maybe i haven’t talked about it enough on the lists, but since i’ve been maintaining the various mozillas in the portstree (cvs log says i started around firefox 3.6.something… 7 years ago. *sigh*) a lot of things changed, so i wanted take the 6.1 release as an occasion to sum up the various ways one could run which version of which firefox on which version of OpenBSD. Last week we reported that after reorganization, Libreboot was considering rejoining GNU and was seeking input from its community to determine the amount of support it had for such a move. From reading the comments posted both on our article on FOSS Force and on Libreboot’s website, it comes as no surprise that the project’s core members feel they have the necessary consesus to proceed. Last night, FOSS Force received an email — sent jointly to us and Phoronix — letting us know of the decision. Rather than repeat what’s already been written and said on the subject (for that, follow the first link above), we’re publishing a slightly edited version of the email, which will pretty much bring everyone up to date on the situation. Wikitribune will combine professional journalism with volunteers to offer ‘factual and neutral’ articles. It will be offered ad-free and free-to-use, relying on donations, as Wikipedia does. The service will require the same levels of fact-checking as Wikipedia, with sources cited and linked. Which basically is going to screw Donald Trump in the most splendid way. Cory Doctorow’s new book Walkaway centers on the rise of a counterculture built on open-source technology that fabricates nearly everything from the “feedstock” provided by the refuse and wreckage of a world ravaged by climate change and economic ruin. A representative for Irish midwives said they want relocation but they do not want any religious order to have a say in modern hospitals. Ally Murphy, of the Irish Midwives Association told Breakfast Newstalk that they want what is best for Irish women. She was speaking as the controversy over the decision to give ownership of the new €300m National Maternity Hospital to the Sisters of Charity rumbled on. After Microsoft officials dismissed evidence that more than 10,000 Windows machines on the Internet were infected by a highly advanced National Security Agency backdoor, private researchers are stepping in to fill the void. The latest example of this open source self-help came on Tuesday with the release of a tool that can remotely uninstall the DoublePulsar implant. Ultimately, St. Jude Medical’s stock plunged as much as 10 percent in the aftermath. The company launched a lawsuit against MedSec and Muddy Waters, and the three firms skirmished in the press again when MedSec’s findings were allegedly reproduced by security firm Bishop Fox. What’s more, the second set of researchers claimed they could take over the pacemakers at a distance of around 10 feet. From a security perspective, Unicode domains can be problematic because many Unicode characters are difficult to distinguish from common ASCII characters. It is possible to register domains such as “xn--pple-43d.com”, which is equivalent to “аpple.com”. It may not be obvious at first glance, but “аpple.com” uses the Cyrillic “а” (U+0430) rather than the ASCII “a” (U+0061). This is known as a homograph attack. New Strain of Linux Malware Could Get Serious [Ed: ECT thinks that people having default username+password is a “Linux” issue? Seriously? A new strain of malware targeting Linux systems, dubbed “Linux/Shishiga,” could morph into a dangerous security threat. The GrSecurity initiative that hosts various out-of-tree patches to the mainline Linux kernel in order to enhance the security will no longer be available to non-paying users. GrSecurity has been around for the better part of two decades and going back to the 2.4 kernel days. In 2015 the stable GrSecurity patches became available to only commercial customers while the testing patches had still been public. That’s now changing with all GrSecurity users needing to be customers. Anyone here use grsecurity and have any thoughts about this? Donald Trump’s administration has taken a tough stance on WikiLeaks in recent weeks. US officials told CNN last week that the Justice Department has prepared charges to seek the arrest of WikiLeaks founder Julian Assange. Attorney General Jeff Sessions said at a news conference on Thursday that Assange’s arrest is a “priority” of the administration. It’s difficult for me to read Jonathan Taplin’s cri de coeur about Google and other technology companies that have come to dominate the top tier of successful American corporations without wincing in sympathy on his behalf. But the pain I feel is not grounded in Taplin’s certainty that something amoral, libertarian and unregulated is undermining democracy. Instead, it’s in Taplin’s profound misunderstanding of both the innovations and social changes that have made these companies not merely successful but also—for most Americans—vastly useful in enabling people to stay connected, express themselves and find the goods and services (and, even more importantly, communities) they need. The Trump administration unveiled what it called the biggest tax cuts “in history” on Wednesday in a move that will simplify the US tax system, slash taxes for businesses large and small (including his own), eliminate inheritance taxes and set the president on a collision course with Congress over the likely $2tn-plus cost of the proposal. Voice over IP (VoIP) apps such as Facetime, Viber, Skype, WhatsApp, and Messenger have been all but unusable from Egypt for the last few days. The recent wave of VoIP app blocks is pushing more and more Egyptians to use VPN – inevitably, VPN is now a trending search for Egypt region mobile app stores and Google search. Back in 2016, Egypt also banned the encrypted messaging app, Signal – though Signal was able to come up with an ingenious workaround. Today, 25 April 2017, the European Parliament Committee on Culture and Education (CULT) voted on the draft Audiovisual Media Services Directive (AVMSD). In a surprise move, the Committee voted to prohibit filtering of uploads by video-sharing platforms. This position, adopted by a majority of 17 to 9, will be the position of the Parliament in its upcoming negotiations with the EU Council, which aim to finalise the text. The France-based NGO has today released its 2017 World Press Freedom Index, detailing that in democracies media freedom is proving to be increasingly fragile. “In sickening statements, draconian laws, conflicts of interest, and even the use of physical violence, democratic governments are trampling on a freedom that should, in principle, be one of their leading performance indicators,” the organization says. Media freedom has declined throughout Southeast Europe (SEE), but the erosion of the rule of law has been most visible in Macedonia, non-governmental organisation Reporters Without Borders (RSF) said in its latest World Press Freedom Index report released on Wednesday. The survey ranked Macedonia 111th out of 180 countries worldwide, up seven positions compared to last year’s edition. Two experts on freedom of expression of the United Nations and the Inter-American Commission on Human Rights condemned today the practice of censorship and internet blocking in Venezuela, as well as the detention, attacks and stigmatization of journalists and media workers covering the recent protests in the country. “We urge the Government to immediately release all those who have been detained for their journalistic work and for the exercise of their freedom of expression,” stated the United Nations Special Rapporteur on freedom of opinion and expression, David Kaye, and the Special Rapporteur on freedom of expression of the Inter-American Commission on Human Rights (IACHR), Edison Lanza. The surveillance hawks — it would appear — are never satisfied. When it comes to harvesting the data of American citizens, their mantra seems to be “too much is never enough.” The most recently revealed tool in the considerable arsenal of the surveillance state is a three-engine blimp equipped with eavesdropping apparatus. As the online magazine The Intercept is reporting, the 62-foot diameter airship — ominously named the Hover Hammer — was fitted “with an eavesdropping device” back in 2004. The Intercept published a classified document on Monday as part of the Snowden Archive. That classified document shows that the Hover Hammer “can be manned or remotely piloted and has already done demonstration flights up to 10,700 feet” including a test in which “the airship launched from an airfield near Solomons Island, Maryland and was able to intercept international shipping data emanating from the Long Island, New York area, including lines of bearing.” Just to clarify, both Maryland and Long Island, New York, are in the United States, so the fact that the Hover Hammer intercepted “international shipping data” is considerably less than the whole story. In sweeping up that data, the “Digital Receiver Technology model 1301 receiver onboard the airship” undoubtedly also picked up domestic communications — including mobile phone calls, texts, mobile data traffic, and presumably WiFi and other signals. A 62-foot-diameter blimp deployed by the US National Security Agency was able to “intercept international shipping data emanating from the Long Island, New York, area” after taking flight from Solomons Island, Maryland, according to a classified NSA document published on Monday. A new document made public this week via Edward Snowden’s leak of NSA documents reveals a fascinating aim of signals intelligence program: The agency, it turns out, monitored international scientific developments in hopes of detecting “nefarious” genetic engineering projects more than a decade ago. SIGINT is intelligence collected by monitoring electronic and communications signals. In 2013, documents leaked by NSA contractor Edward Snowden revealed the extent of the agency’s reliance on this kind of intelligence to provide insight into the capabilities and intentions of foreign entities, as well as domestic targets. In the years since, documents have continued to trickle out of the Snowden leak that shed additional light on those efforts. The arrest warrant shows a detailed breakdown of all her movements and locations from waking up through the time she was killed. From the sync locations and activity monitor, investigators were able to produce a timeline down to the minute of when she left for the gym, the duration of her trip home, when she walked into the garage, her intermittent moving around in the home, and when her body stopped moving. In 2014, after concluding its investigation, the F.T.C. called on Congress to protect consumers against the unchecked collection and marketing of their digital data. The F.T.C. report detailed how some of the companies classify consumers in data-driven social and demographic groups for marketing purposes with labels like “financially challenged,” “diabetes interest” and “smoker in the household.” The concern is that such classifications could be used to limit fair access to financial services or health insurance. The F.T.C. recommendation, which was endorsed in a separate report by the Obama administration, was not taken up in Congress. Throughout the election campaign, the most extremist Islamic leaders tried to influence the vote by manipulating the religious sentiment of voters (pictured). This led to many street demonstrations, which often turned violent. “They want to adopt laws inspired by Sharia, and their demands will become more and more radical,” Sinta Wahid warned. This trend represents a serious threat to national unity and to the pluralist spirit on which the country was founded. Abdul Qader, who was working in Riyadh, was allegedly set on fire following dispute with a family member of his employer. This confirms what security expert Bruce Schneier has said for years — that this is security theater, not meaningful security. She still has not been allowed to know the exact charges for which she was convicted, Ratcliffe said. US government attorneys are appealing a Chicago immigration judge’s decision to grant asylum to Amos Yee. That means 18-year-old Yee remains in US custody. The judge concluded in March that Yee had a “well-founded fear” of being persecuted upon return to Singapore. He was first detained by US immigration authorities in December at O’Hare International Airport. Back in 2012, it was discovered that a Massachusetts state drug lab technician had falsified thousands of tests submitted as evidence in criminal cases. Technician Annie Dookhan was able to “produce” three times as many test results as her coworkers, mostly by never actually testing the submitted substance — something that went unquestioned for far too long. Dookhan went to jail for three years, but many of those convicted on faulty evidence spent far more time locked up. Dookhan’s prolific fakery resulted in a list of 40,000 cases possibly tainted by her work. This list was turned over to prosecutors, who managed over the next few years to trim it down to 23,000 possibly-tainted convictions. Faced with the daunting task of sorting this all out and notifying former defendants, the district attorney’s office decided the best approach was to do as little as possible. For years the traditional cable and broadcast industry has gone to great lengths to deny that cord cutting (getting rid of traditional cable TV) is real. First, we were told repeatedly that the phenomenon wasn’t happening at all. Next, the industry acknowledged that sure — a handful of people were ditching cable, but it didn’t matter because the people doing so were losers living in their mom’s basement. Then, we were told that cord cutting was real, but was only a minor phenomenon that would go away once Millennials started procreating. If you want to take the temperature on where the craft beer brewing industry is on the convergence of an exploding industry and the greater use of trademark law, you need only look at what intellectual property lawyers are saying. We had just discussed a Q&A with several IP attorneys in wine country lamenting on how trademark law is throwing up roadblocks to a likewise expanding wine industry and the need for a more nuanced interpretation of marketplaces within the alcohol industries. Even within the craft beer industry itself, IP attorneys are starting to recognize that the industry has a problem. The files on Megaupload should have just been backups for Goodwin, but unfortunately he experienced a hard drive failure just days before the 2012 Dotcom arrest. That means the “backup” files on Megaupload are the only copies available for some of his material. In addition to losing video that he provided to parents of their kids’ sports achievements, he’s been unable to complete a documentary he was making about a girls’ soccer team in Strongville, Ohio. OhioSportsNet also lost its promotional videos and other news packages. Kim Dotcom has filed a formal complaint with police in New Zealand after FBI director James Comey arrived in the region for a conference. Dotcom’s complaint says that Comey should be urgently interviewed over the unlawful removal of hard drive clones obtained following the raid on Megaupload in 2012. For some reason, there has been a sub-war raging for more than a decade between anti-piracy groups and fans who create free subtitles for content so other regions can enjoy that same content. While much of this war has been fought for years on the anime front of all places, the conflict has spread to mainstream movies and television as well. And it is a painfully dumb war to fight at all for the content creators, whose publishers have failed to provide the subtitle translations that are obviously in demand, and which would open up new markets at no cost for them. Instead, they typically choose to scream “Copyright infringement!” at these fans instead. Why Is Congress In Such A Rush To Strip The Library Of Congress Of Oversight Powers On The Copyright Office? In the past few weeks, we’ve written a few times about this weird urgency among some in Congress to rush through a pretty major change to Copyright Office oversight. I wrote a deep dive piece over at The Verge discussing the issues at play, but Congress is pushing a bill to stop the new Librarian of Congress, Carla Hayden, from appointing a new head of the Copyright Office. Instead, the Congressional plan is to make the position a political appointee, nominated by the President, and approved by Congress. In that Verge piece, we explained why it was a major change, and scratched our heads at the fact that there appears to be no reason for pushing for this change other than (1) the legacy copyright industries know that their lobbying power will mean that the appointment will be to their liking and (2) they fear who Hayden might appoint. But, what’s really odd is how quickly Congress is trying to push this through. As if the matter is incredibly urgent. There have been no hearings on the matter. There’s been no public discussion on the pros and cons of such a move. Just a mad dash by a bunch of people in Congress to make this change official before Hayden can appoint someone. FIGHTING patents with patents is a worthless exercise of endless war and sometimes just reckless stockpiling which accomplishes nothing at all. We wrote about this in relation to Red Hat 8 years ago. “This is why Microsoft loves using trolls as satellites, including Intellectual Ventures, which has thousands of satellites of its own and is controlled by Microsoft.”A decade or more ago, around 2005, Red Hat helped fight against software patents at the EPO, but later on both Red Hat and Google started accumulating software patents of their own, falsely arguing that they need these for “defence”. Acacia, a patent troll with Microsoft connections, repeatedly disproved them. One cannot sue trolls; there’s nothing to sue over. 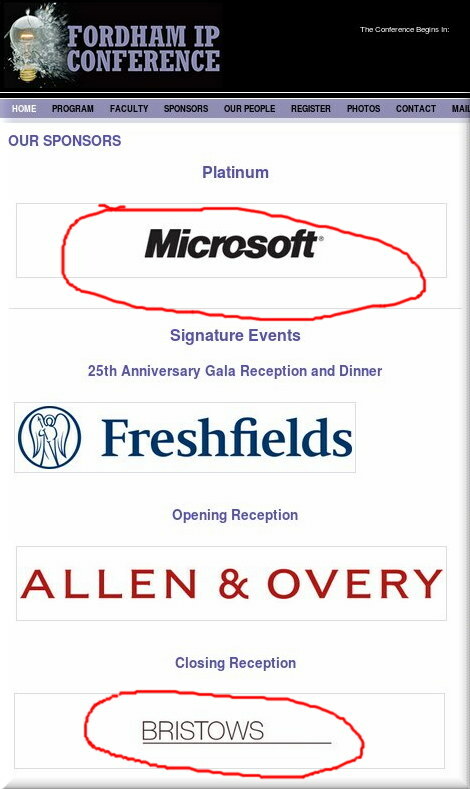 This is why Microsoft loves using trolls as satellites, including Intellectual Ventures, which has thousands of satellites of its own and is controlled by Microsoft. I have personally developed programs in this area (machine learning, autonomous vehicles etc.) and it’s abundantly clear that it’s all about software. “What PatentShield is likely to accomplish is little but distraction from the real solutions (which Google isn’t genuinely interested in).”There is a lot of hype this morning about PatentShield, which wrongly assumes that what we need to shield us from patent attacks are more patents. We found quite a few articles early this morning [1, 2, 3, 4, 5, 6], accompanying several copies of the press release (there was clearly a large, well-coordinated effort to get the word out, including paid press releases and probably PR agencies). No doubt there are many more articles on the way and almost none will go beyond repeating quotes from the press release (and those who paid for these, or their PR agents). 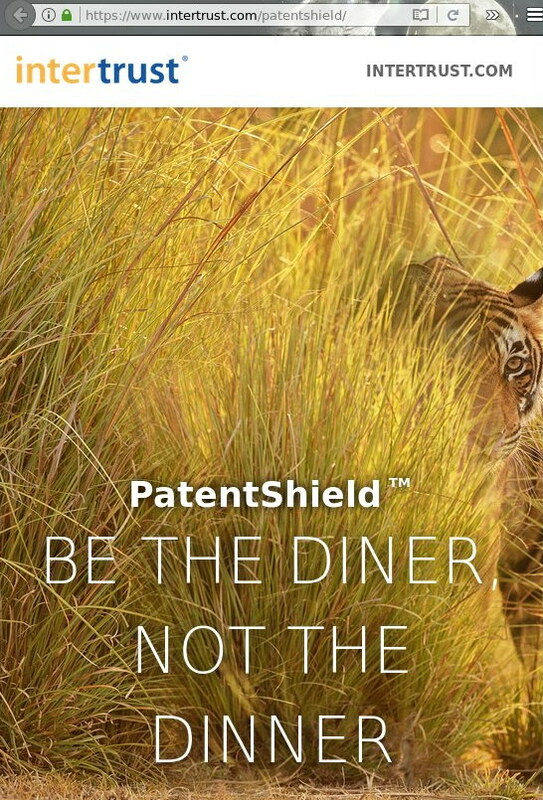 For those who think that PatentShield is a sort of “Eureka moment” or some brilliant thing “to Defend Startups from Patent Litigation” (as the headline of the press release claims) we have a good offer; land on the Moon and on Mars! The FTC’s case against Qualcomm was filed amid the dying embers of the Obama White House and accused the chipmaker of anti-competitive practices in the supply of its baseband processors and in its patent licensing. But the move was not without controversy. In a 2-1 decision in favour of bringing the suit, Commissioner Maureen Ohlhausen wrote a strongly worded dissent in which she claimed the court action was “based on a flawed legal theory”. Trump has appointed Ohlhausen the acting FTC chairman as the administration searches for a permanent appointee and, should the new head share her sentiments, the government’s support of the suit against Qualcomm may become lukewarm at best. The letter is a clear attempt to try to ensure that doesn’t happen. We very much doubt that a corporations’ government — be it Obama’s or Trump’s — will tackle the underlying issues. So far it has been mostly SCOTUS which contributed to progress with decisions like Alice and hopefully TC Heartland some time soon. THE USPTO isn’t perfect, but at least it’s improving. We have repeatedly commended its Director for steering the Office in a positive direction which is widely supported by most of the industry, just not the patent microcosm (which is eager to oust her and undo all the progress). At IP Watch, Steven Seidenberg has just published behind paywall this piece about a SCOTUS decision which he says “will benefit patent trolls and other unscrupulous patent owners, at the expense of companies,” citing “few observers” of the SCA Hygiene Prods. Aktiebolag v First Quality Baby Prods case. We wrote about this before. Put in simple terms, based on a x86 case from 13 years ago, it is not possible for US entities to look into the reckless actions (widely known by now) of the EPO, where patents are granted in error. The petitioner, George Schlich, is a European patent attorney who brought this action as an agent of Intellia Therapeutics, Inc., a genome editing company based in the United States. Schlich petitioned the district court to order discovery under 28 USC § 1782 in connection with a proceeding before the European Patent Office related to an EPO-issued patent for an invention known as the CRISPR/Cas9 system, which provides scientists with an inexpensive and precise method of editing DNA for biological and medical research. The underlying dispute in the EPO is whether The Broad Institute, Inc., a biomedical and genomic research institute affiliated with MIT and Harvard, can rely on its U.S. provisional applications filing date for priority in its European patents. THE EPO‘s management isn’t alone; some people do in fact stand to benefit from its so-called ‘reforms’, notably Team UPC. But only if the UPC ever becomes a reality, which seems far-fetched a concept. They try to make it desirable and inevitable, but it’s anything but. “IP Kat does censor comments, but apparently not as zealously as Kluwer.”Bristows, a core part of Team UPC in the UK, is exploiting external blogs for marketing, as almost nobody reads (or even knows about) its own blog. They’re doing this not just in IP Kat (two more puff pieces from the Bristows lobbyist there yesterday and another one this morning, with pro-trolls bias) but also in Kluwer, which doesn’t seem to mind poor track record of the messengers (they may also be falsifying quotes). Brian Cordery (Bristows) published something in Kluwer some days ago and it didn’t go too well, especially if commenters are not denied a voice. In IP Kat, for example, whenever there is an article promoting the UPC we find that almost every single comment refutes it. IP Kat does censor comments, but apparently not as zealously as Kluwer. The second session looked at the topic of Brexit and IP. Margot Fröhlinger, the Principal Director of Patent Law and Multilateral Affairs, spoke first. She addressed the state of implementation of the Agreement. 12 have ratified so far but not Germany and the UK. Both however are on track – according to the latest reports. Turning to the impact of Brexit, Margot noted that most commentators had initially assumed Brexit was the death knell for the UK’s participation in the UPC and possibly for the whole project. Over time, these views had softened but it was still a surprise when the UKIPO announced on 28 November 2016 that the UK was going to proceed with ratification. Nevertheless this was seen as very positive news by proponents of the system. Margot considered that the UK’s participation could be secured if there was sufficient political will, given the marginal influence of the CJEU in the UPC regime. Moreover in the unlikely event that the UK left the system, arrangements will be put in place to ensure that participants are not prejudiced. Margot felt that the system would be impoverished without the UK judges and practitioners. Panellist Joel Smith thought that there was political will for the UK participation but it was just one of many pieces in a very complicated puzzle. Panellist Trevor Cook wondered if we may end up with the UPC system applying in the UK but not unitary patents. 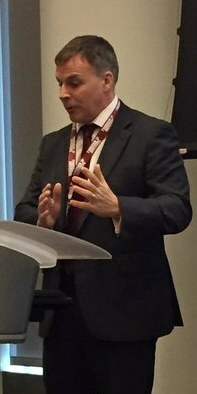 Judge Klaus Grabinski thought that all options remained on the table and Margot Fröhlinger pointed to Denmark’s involvement in the Brussels Regulation as a precedent. The ‘fun’ part starts in the comments, which help highlight — however difficult these things tend to be — that there is suppression in the comments. Declaring that the influence of the CJEU in the UPC regime will be marginal is quite daring and has more to do with wishful thinking than a robust analysis of the situation. That a lot of stakeholders, especially UK law firms, would like UK to stay in the UPC is understandable but does not make it more likely. In any case, it is a bare minimum to consider that arrangements will be put in place to ensure that participants are not prejudiced should UK leave the UPC. The contrary would be astonishing. Overall, it is nevertheless doubtful that that UK will stay in the UPC after Brexit. If this would be the case, it would mean that EPLA is revived in a different form. It is anything but sure and certain that the CJEU would agree on this. Ever heard of Opinion 1/09? It makes it even more strange to decide upfront about the marginal influence of the CJEU…. I hope that this post will be published, contrary to my earlier one. In the contrary I would like to be told the reasons for non-publication. If only nice things can be said in a blog, then it is not a blog…. Having had two comments blocked, I take it for acquired that any comment slightly critical of the UPC and hence not corresponding to the interests of Brystows is not to be published in this blog. I find this appalling. A blog is there to confront points of view, not to exclusively express a positive opinion on the UPC and/or considering a post-Brexit participation of UK in the UPC highly likely. Even IPKat accepts dissenting opinions. I am therefore not agreeing with Techrights that IPKat has been taken over by Brystows. I am even of the opinion that often Techrights deserves the cause it wants to help in being apodictic and extreme in its view. Should I not get a reply giving me the reasons as to why my comments were blocked, I will make the matter public. In our defense, in the context of the UPC, we view ourself as counterpropaganda, or the voice that helps counter the propaganda, without being propaganda on its own. The only thing we have at stake is fear of patent trolls, which UPC would make possible here. The above comment was not to made public at once. I want a detailed reply first. The author would like to point out that he was just reporting the views of those expressed by the speakers at the conference. Personally, he feels that where there is a political will, a way will be found. Though he recognises that there is a long road ahead. Daniel Thomas laments that his postings were “blocked”. I sympathise with him. But readers will be aware that blocking is sometimes appropriate. For example, if you follow the lively Patently-O blog (or the Comments threads on the UK newspaper The Guardian), you will know that some posters are offensive and so it is appropriate to “block” their offensive outpourings. Of course, it is a difficult judgement, what has to be “blocked”. Me, I cannot imagine Daniel Thomas ever being offensive. In my experience he is an exceedingly courteous man. Daniel, the blockings on Patently-O are done by a computer and often for me inexplicable. Perhaps something like that happened here, with your non-appearing postings? Please note that, unfortunately, this “blog” is primarily not an academic playground, but rather a marketing tool for Kluwer and their authors, trying to push public opinion in a way suiting their needs. Another example for such tool is the above mentioned IPkat blog after Jeremy’s departure. As a consequence, it should not come as too much of a surprise that comments expressing a view contradicting that of Kluwer et al are swept under the blanket. For instance, they have long abandoned publishing critical voices on the UPC as it would be required for an open debate and instead prefer presenting their exclusive narrative on how things stand and where they go. Of course, usually this has not much to do with reality which allows certain deductions to be made as regards the UPC project as a whole if it can only be kept alive based on skewed perspectives and the input of obviously biased individuals, apparently having to be protected from an open discussion. From an academic standpoint and the perspective of free speech, this is a rather depressing situation, but clearly it is the path Kluwer et al have chosen to follow. We will see if this comment makes it to publication or whether it will be suppressed as many others. In the latter case, there will at least be a screenshot confirming that it has been successfully submitted. For the record, here in Techrights we have 33,894 comments. We never in our entire history censored even one comment. Not even extremely rude ones!